Such a brilliant venture. Have already block booked the calendar for next year's one. Thanks so much to all the FQ mob for their efforts and you should watch the post for warthogs. Thank you for the most excellent time, I am already plotting a way to come back next year. Whatever the date and wherever it is. I'm in. It sounds like so much fun, I had a great time following on twitter and now I get to read loads of brilliant blog posts!! WSS ^ I am definitely not missing the next Retreat! 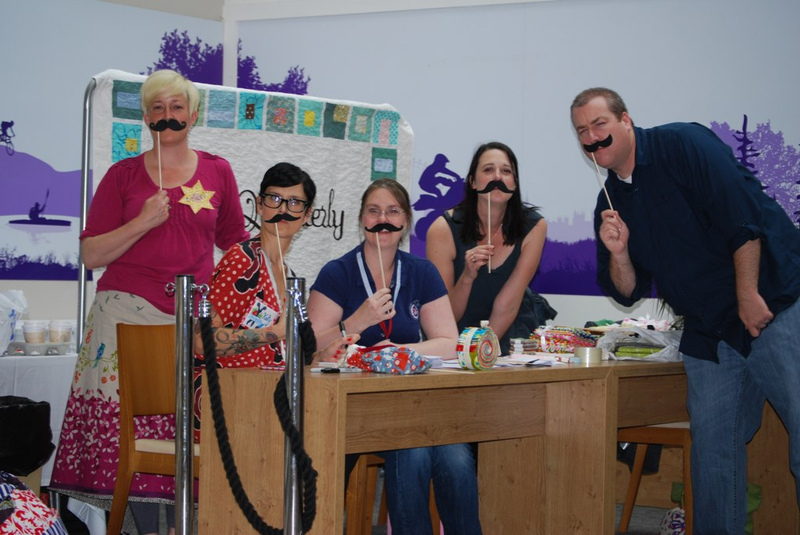 Lovely to meet you and the whole team for making me feel part of a wonderful quilting and sewing community!! I had so much fun in your class and can't wait to finish my placemat when I've got over all the excitement and caught up on sleep!! I still don't like guacamole, but caake. I'll 'ave that! Was so great to meet you my dear! Thank you for a fabulous weekend. Can't wait for 2013! I have had the best time ever and have met so many wonderful and funny people. Inspirational it was! It was an amazing weekend, thanks so much, can't wait for next year! It was so lovely to meet you Brioni, wished we'd had longer to chat. The whole thing needed to be about 6 weeks longer to satisfy all my chatting needs though!Looking forward to next year already. Thank you for the post and THANK you for the retreat! It was a great time with you in London! Loved your funky skirt Brioni!